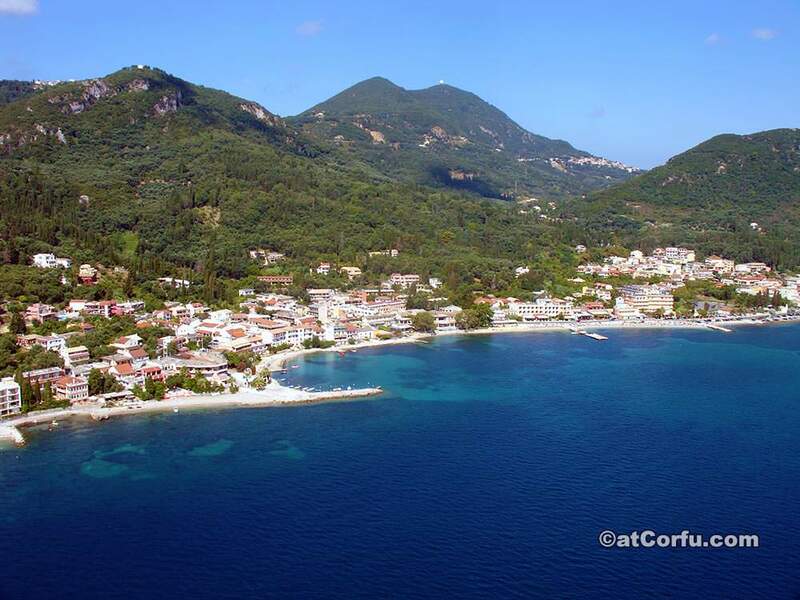 What is Benitses Corfu today? 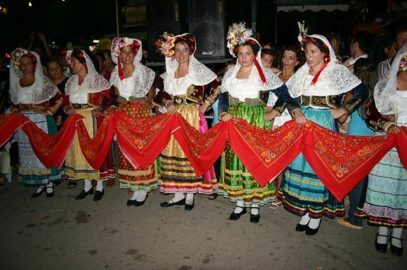 Benitses village is one of the original holiday resorts in Greece, a very old traditional village of Corfu, proud of its traditions. 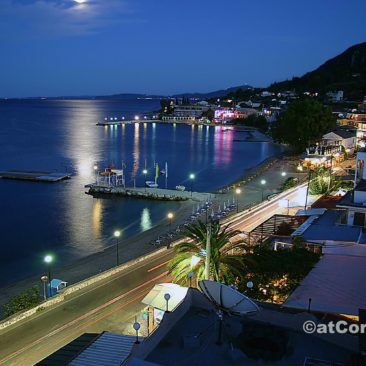 Perhaps one of the most famous seaside villages in the country due to the strange and strong attraction exerted to almost every visitor to Corfu that is difficult to describe in words. 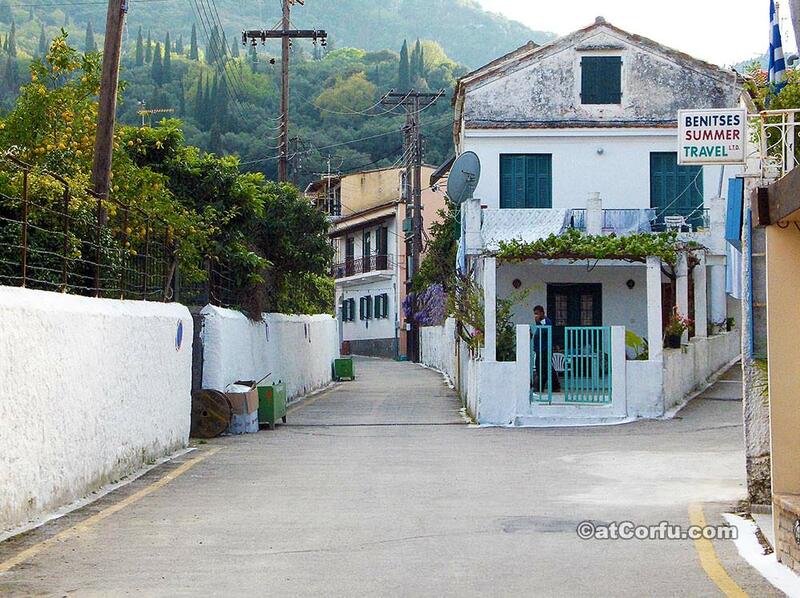 When speaking of tourism on Corfu, this is where it started..
May be is the lush vegetation on the surrounding mountains, the notorious nightlife of the recent past, the beautiful history of the place, or the famous first guests and residents of the 50s..no one can say. 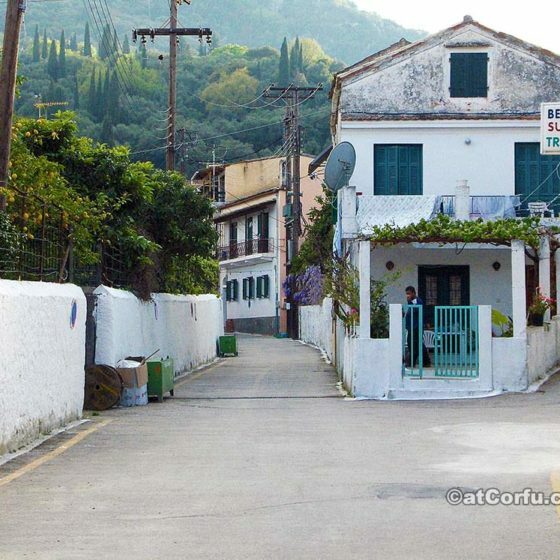 Forget anything you knew about the past, the resort with the notorious nightlife is nothing but a distant memory, Benitses today is an idyllic lively place, with a great past and future, that every visitor to Corfu will want to discover, and share with their friends.. 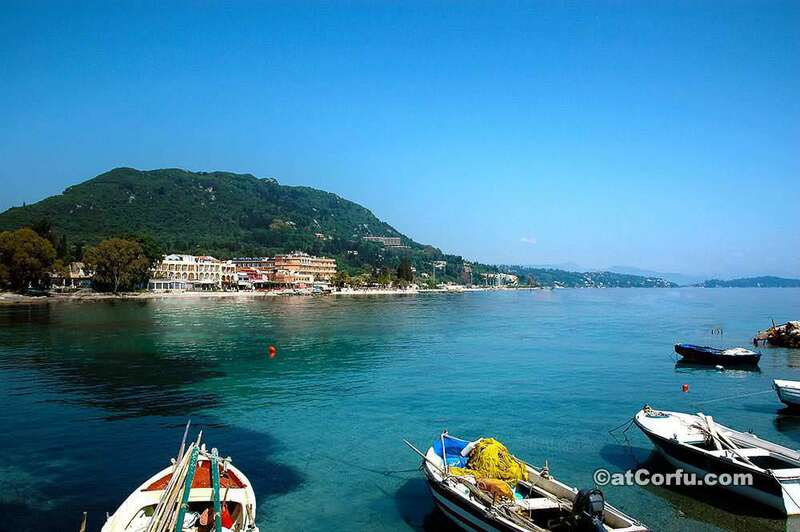 The official name of the village is Benitses in plural, refers to a set of settlements or regions. NOTE: Benitses or Mpenitses is the same place written in a slightly different way. 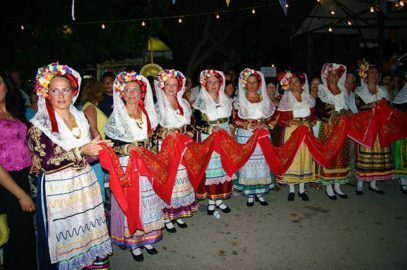 But the village is more familiar to locals in singular as Benitsa(Mpenitsa) or Binitsa(Mpinitsa), so there are several variations of the name that might confuse visitors. However anyway you name it is the same. 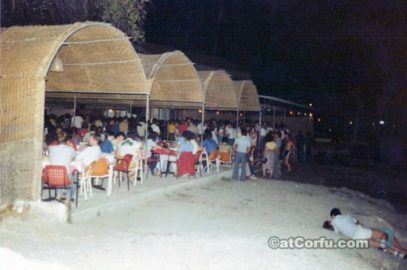 Benitses has expanded in recent years mainly due to tourism of 70s and 80s into a large tourist resort in Corfu. 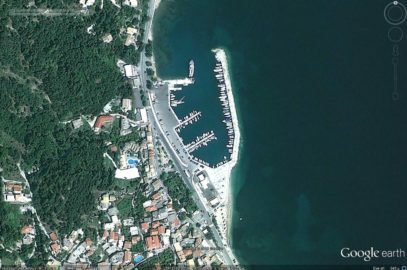 Today boasts the wonderful yacht harbour (Marina), a project that, among other things includes a large parking area, has berths for hundreds of private boats, as well as the local pleasure craft and other facilities. 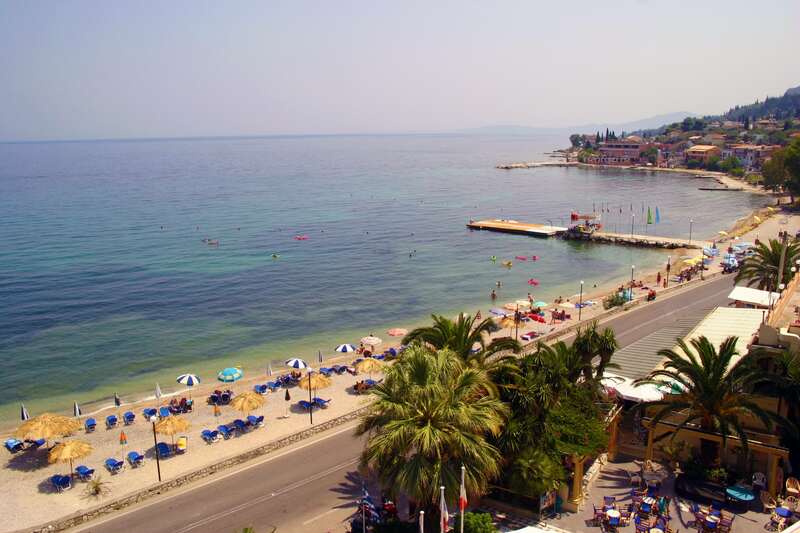 Benitses hotels, apartments, villas and rooms are ideal for cheap holidays in a wonderful place which is a perfect marriage of mountain and sea. 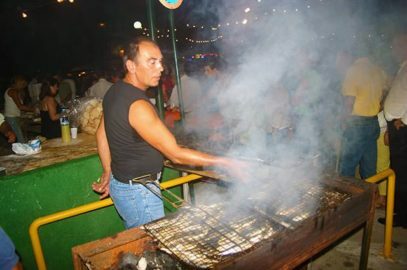 Restaurants and tavernas cater for every taste from traditional Greek cuisine, to pizzas, pasta, and even Chinese food. 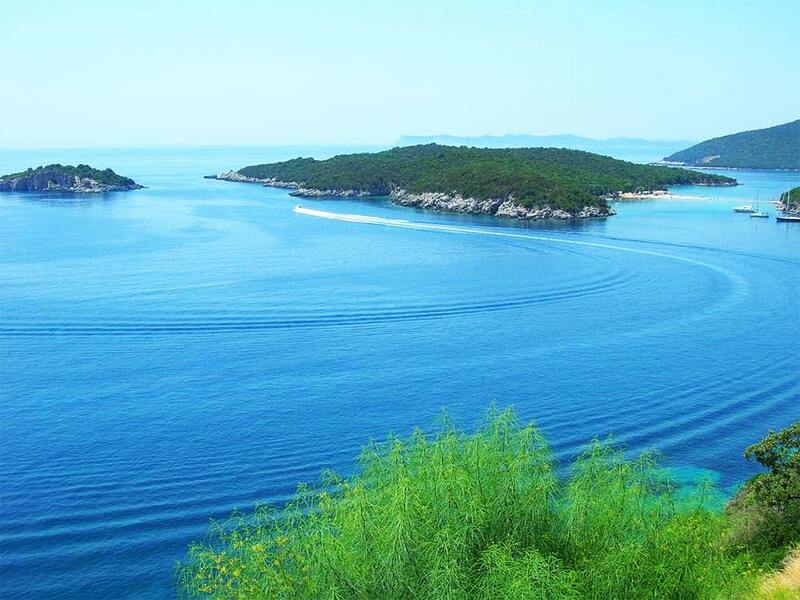 The beaches are very clean, of the cleanest on the island, with crystal clear water and have been awarded the EU blue flag. 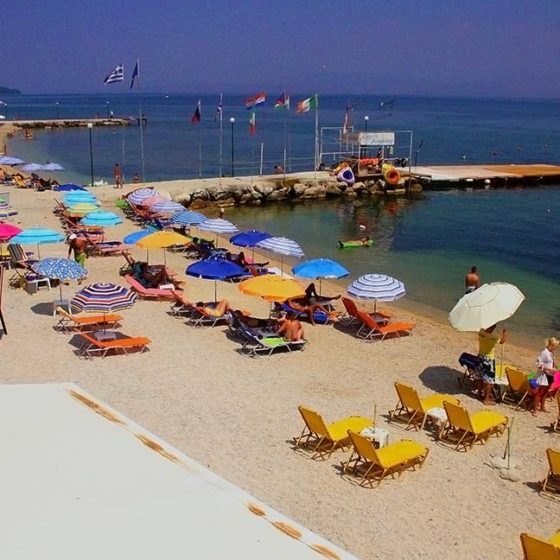 They are a mix of shingle and sand, sunbeds can be rented, and water sports enjoyed here, and these beaches have been considerably enlarged in recent years, and are well maintained for the visitors’ enjoyment.. 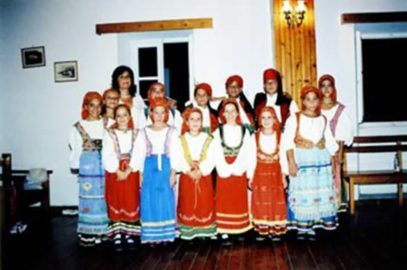 Residents of Benitses are hospitable, friendly and familiar with most foreign cultures. They enjoy helping you to enjoy your holiday to the full! 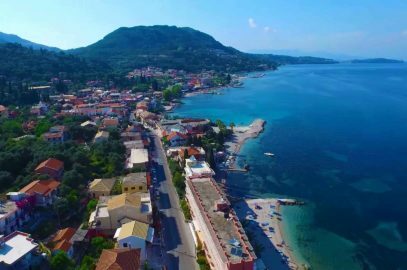 Benitses(Mpenitses) is at the east coast in the center of the island and only 12 kilometers south of Corfu Town and 9 kilometers from the international airport Ioannis Kapodistrias. 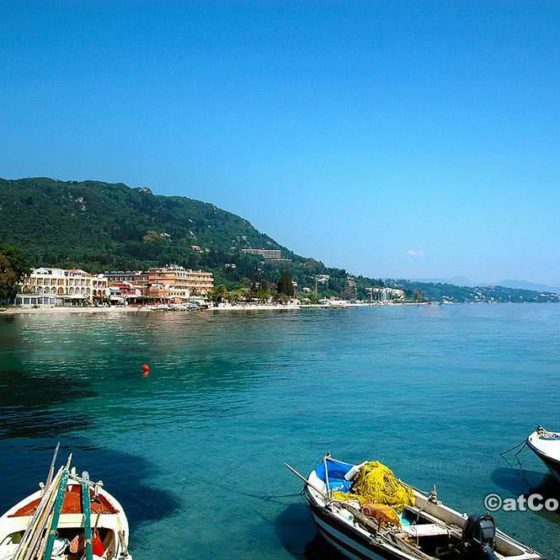 The traditional part lies in a beautiful location in the middle of a green valley that sweeps down to the sea and has kept its natural beauty intact despite the intense activity and large touristic development since mass tourism started in the 1960s. The village consists of five settlements. 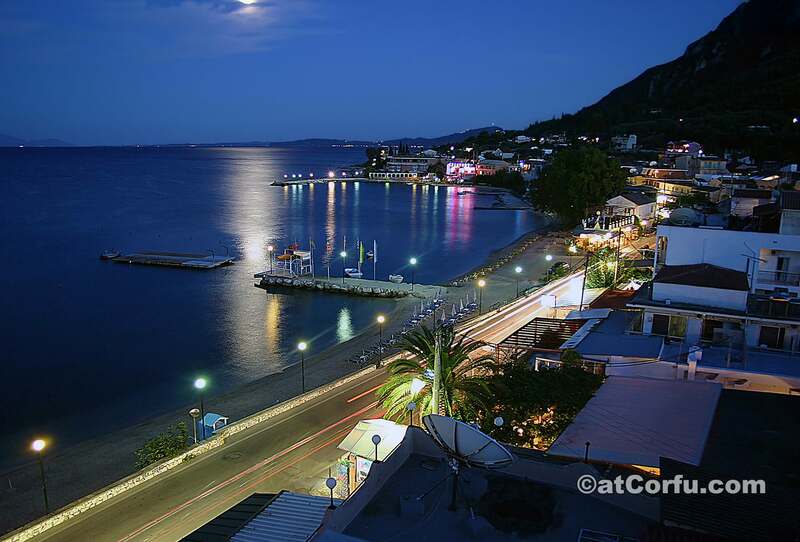 The traditional part that is located between the mountains and is called Panochori (that means “the upper village”). Another settlement is around the aqueduct and is named Vaska (reservoir). The settlement around the old port is called Skaloma and it is the current commercial centre of the village with the most shops. The village expanded south through the part called Chontrakia or Kontrakia along the main road to Lefkimi, up to Tsaki (chimney) area, the last settlement and where Benitses ends. 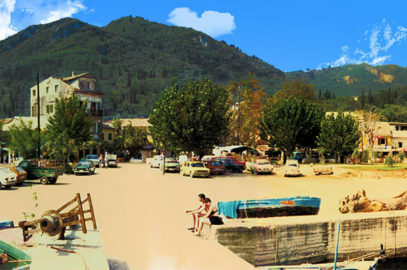 The village’s population is 1,000 residents, most of which deal with tourism but in the past their traditional occupations were fishing, cultivating the olives and citrus fruit and in the distant past, the operation of watermills for flour production in the mountain side of the village, occupations some of which like fishing are reviving now especially during winter. The existence of sources created a river which many years ago passed through the current path of the old village, the diversion of the river was earlier last century. These sources is until today the aqueduct and is the reason that Benitses been inhabited since ancient times and the origin of its name. 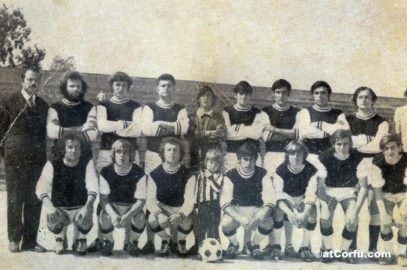 But for all these there are more details on the page dedicated to the history of Benitses. 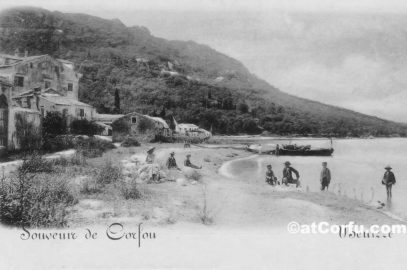 Despite the enormous development of tourism especially in 1980-1990, the village has retained almost intact all it`s natural beauty, and uniquely combines the attractions of both sea and mountains. Benitses is literally resting on the green mountains where there are several isolated small churches hidden in the trees, such as Agia Paraskevi, Agia Triada on an amazing knoll and others, therefore conditions are ideal for biking and hiking on numerous trails leading to the mountainous village of Stavros from where the view of middle and south part of the island is amazing. 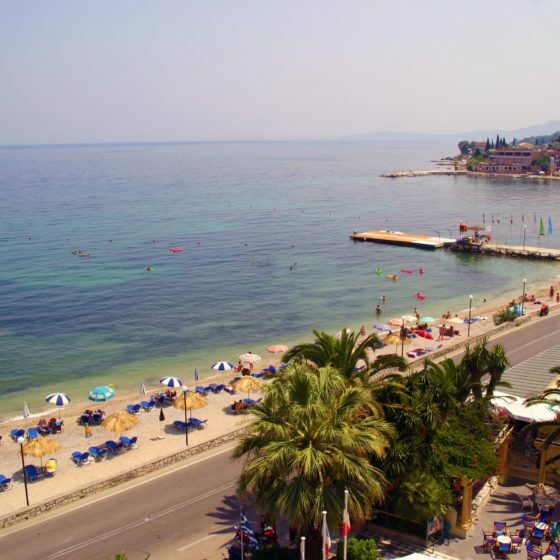 The village has also Doctors, Pharmacy, Surgery, Travel Agencies, laundry, Water Sports etc…. For the prospective visitor is useful to emphasize particularly that Benitses of 2016 have nothing common whatsoever with the lively tourist centre of the 80s and 90s. 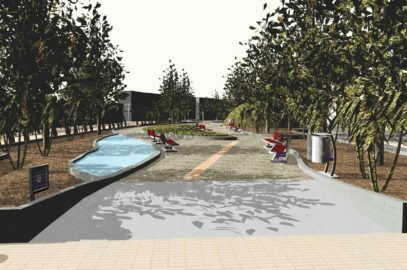 Today there are vast improvements in infrastructure, particularly in accommodation such as hotels, apartments and rooms as well as in the shops, the roads and beaches. Also here are some of the best for their food quality and flavors restaurants on the island, we could say that Benitses is now a culinary paradise, and these at surprisingly low prices! Benitses is also one of the safest destinations, don’t worry if you lost something, even money, someone will find them for you. Also the young tourists of the 80s and 90s have moved South and is nothing but a memory. 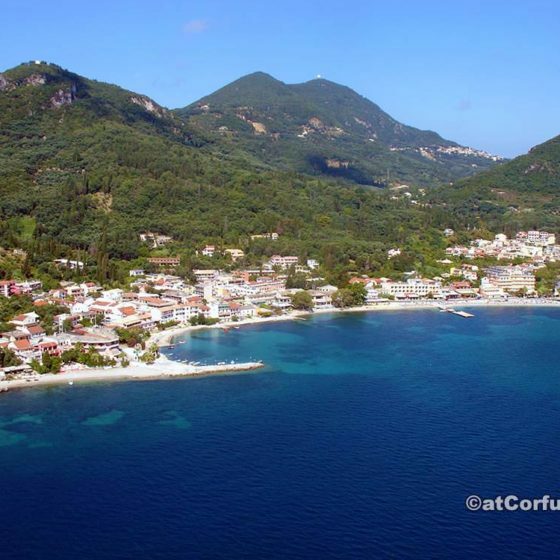 Let us emphasize also the fact that the location of the village in the middle of the island makes it an ideal base from which you can easily explore the rest of it, the best sandy beaches which are located in the west and southern coast of Corfu are just a few minutes drive, and the City of Corfu just 8 miles away. 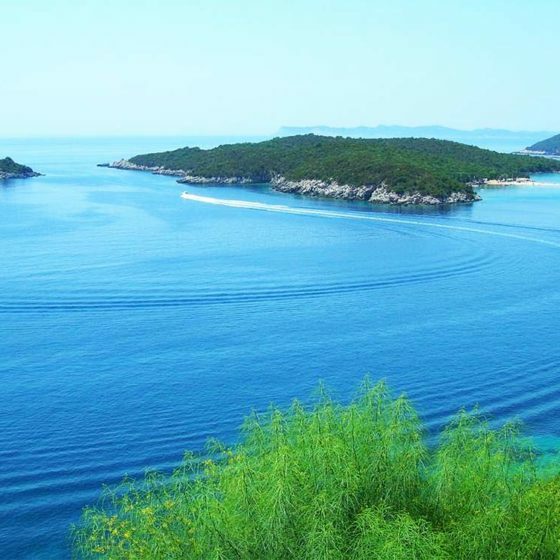 Also from the yacht marina sail daily large and small boats for small excursions-cruises to every beautiful part of the island and the opposite mainland coast or the island of Paxos, heavenly places as Sivota on the mainland are only one to two hours away. 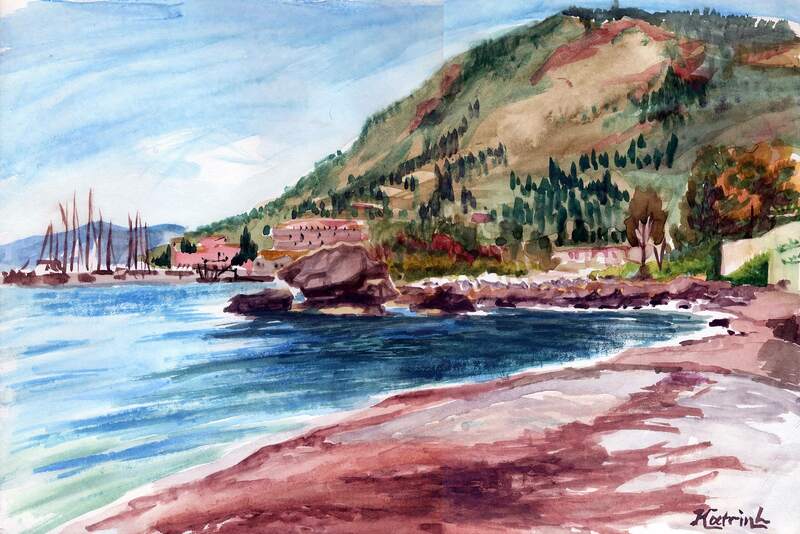 The beaches in Benitses are not like the narrow pebble beaches of the past. Τhey have improved significantly, have grown in wide and length, they are comfortable and with supportive infrastructure such as lifeguards and sun beds with umbrellas everywhere, with water sports and above all with the most crystal clear waters of the Eastern coast of Corfu, have been awarded the European Union Blue Flag because of the purity of water, is an ideal place for swimming, sailing and water sports. 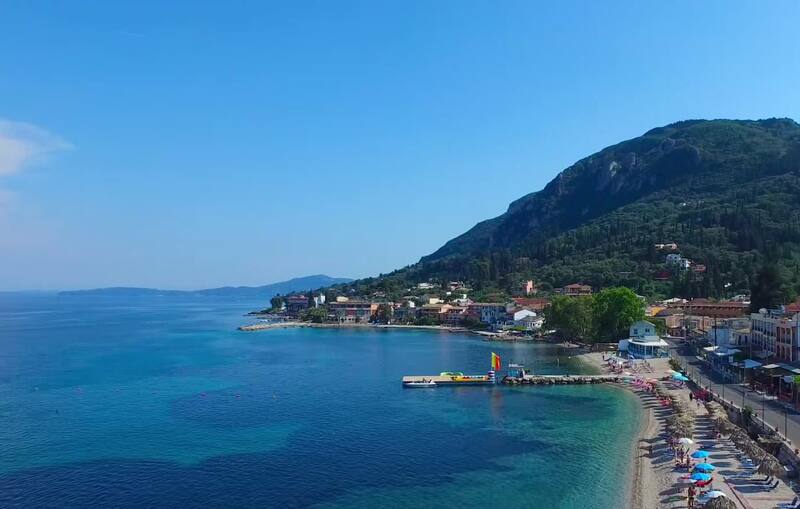 The village now has strengthened its traditional color, there are many traditional customs and cultural happenings throughout the summer, it is focusing on safety and infrastructure offering sea and sun on blue flag beaches and green mountains. Every hotel or group of rooms small or large provides free broadband internet access to all costumers. 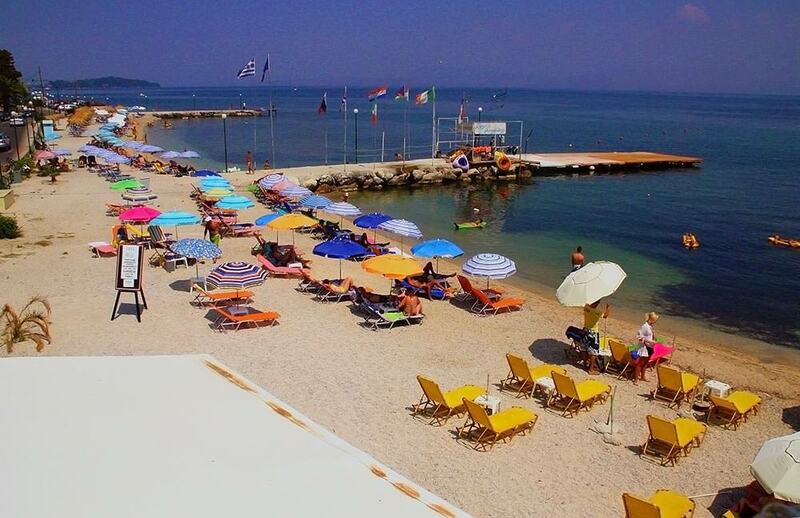 The village of Benitses is the perfect destination for families, young and older couples and anyone who is looking to have a relaxing time in the sun whilst enjoying good hospitality and like to get involved with the friendly and hospitable locals. 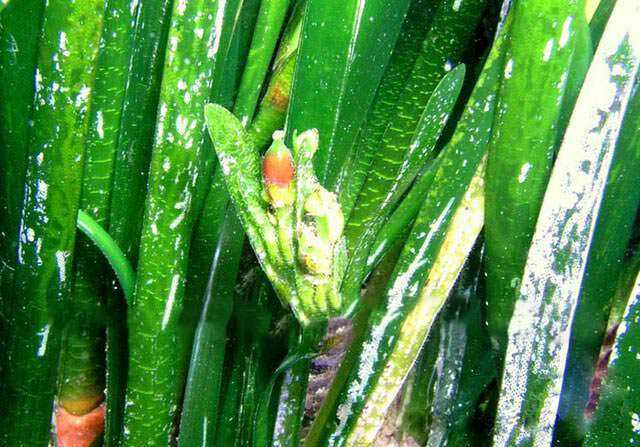 The sea in Benitses is remarkably clean, thanks to a marine plant named Posidonia which you may see on the sea-bed. 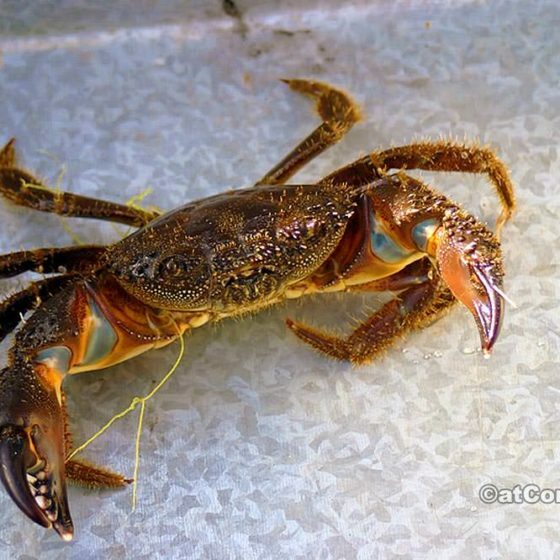 This may not appeal to swimmers because of the dark color, but it cleans the water by filtering toxic substances, heavy minerals and carbon dioxide, it provides oxygen and also valuable shelter and food for the small fish, and generally is responsible for the delicious seafood available, as well as for the purity of the water. 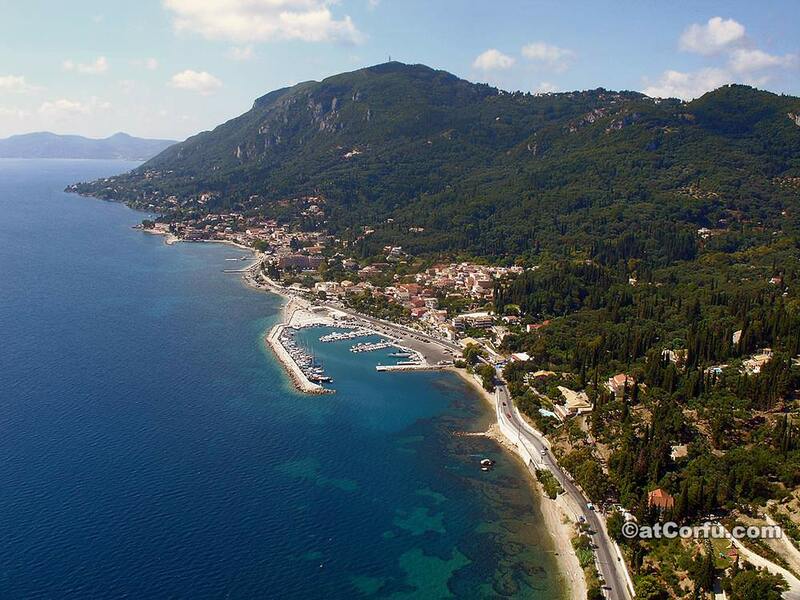 The Posidonia meadows are green, but when the leaves gets old they take a dark brown color, separate from the plant and with the help of the tides they end up on the beaches, which are cleaned after the winter storms so that they are beautifully clean and visitors can enjoy them. 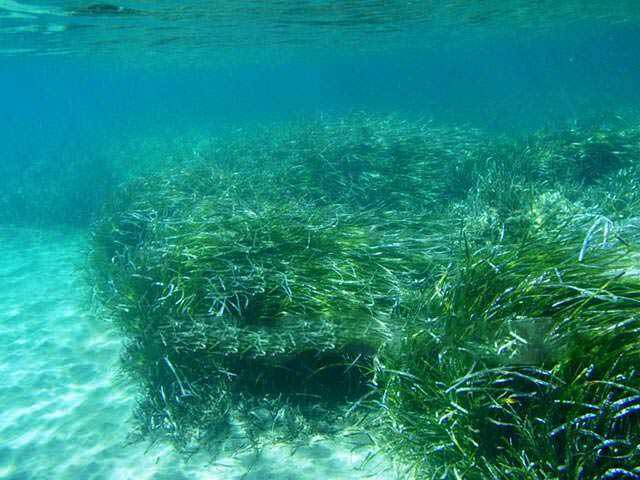 Posidonia is not seaweed as some people mistakenly think, but a valuable marine plant that grows, blooms and multiplies like terrestrial plants, It`s biggest enemies are the trawlers, the intensive fishing and human ignorance. 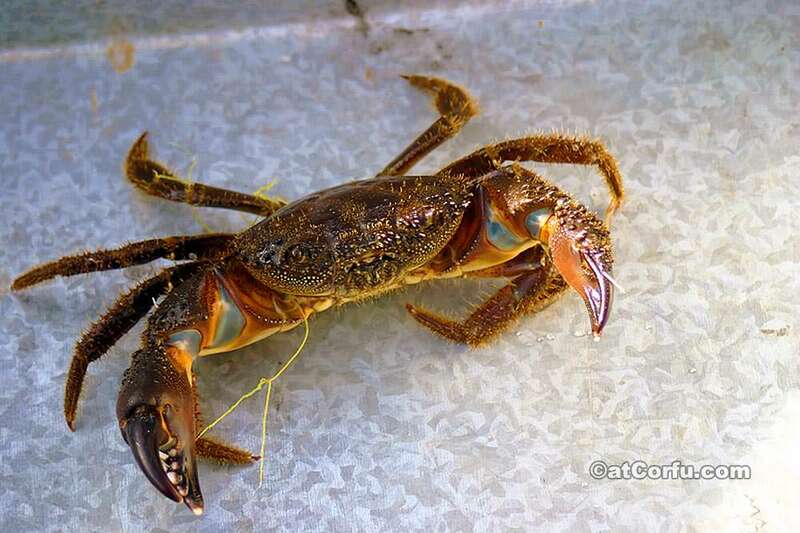 It is a sign of clean sea and a well balanced environment, and only thrives in the cleanest waters of the Mediterranean sea. There are many sights you can see and admire in the wide area of Benitses. 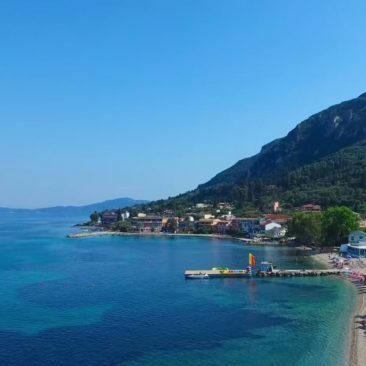 Dont forget to visit Achilleion palace three kms north of the village centre, don’t miss the famous Shell museum, Sea museum for others, housed in the lobby of Potamaki hotel. 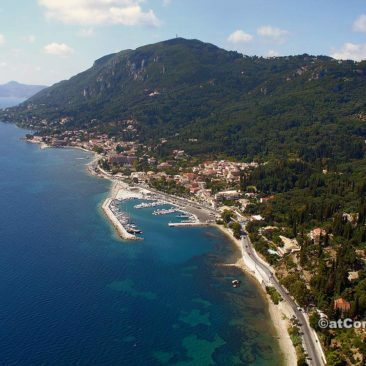 Admire the large rock with the thin base called Laopetra (people’s rock) in the sea at the north entrance of the village, and ofcourse the ruins of the hot Roman baths in the center of Benitses. 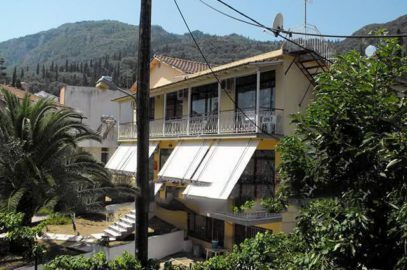 You can walk inside the vast yacht marina or you can use the plethora of small mountain paths throught the lush vegetation between old abandoned churches and other buildings that may lead you to the mountainous villages of Stavros and Agioi Deka. Finally enjoy the exceptional beauty of the old traditional village with the friendly residents.